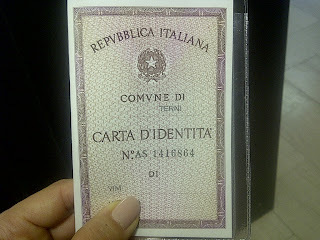 No, I'm not an Italian citizen (yet). However, this morning, I strolled into the comune office to get my Carta d'Identita (identification document held by all Itaians over the age of 18). 5.42€ and 5 minutes later, I walked out of there with the crispy new card in my hand. It feels damn good! Side note: Before I moved here, I did tons of research and read many blogs on experiences dealing with the Italian bureaucracy. I think about 99% of what I read were complaints about how confusing and disorganized the offices were, or how difficult and frustrating it was to get a straight response from someone. While I don't completely disagree, I have to say that my experience has been quite positive overall. Part of it could possibly be due to the fact that I'm in a smaller city, therefore lines tend to be a bit shorter and some of the staff tend to remember you if you make more than one trip to the same office. Or maybe it's just sheer luck. Regardless, whether it was the Questura to get my permesso di soggiorno, the Prefettura to legalize a document, or even the Anagrafe to register myself as a resident, everyone so far has been helpful (which seemed to be very rare from what I read online) and some even friendly (yes, friendly! I do not kid you). 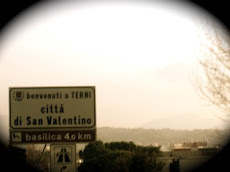 So I just had to give some props to Terni for keeping it plain and simple for a foreigner like me. Living here as an expat can definitely be frustrating at times, so it's been nice not having to go through a crazy mess to get what I need to live here legally. Next step, Italian health care....keeping my fingers crossed.